What Makes ABSL Equity Advantage a Top-Rated Fund? An open-ended equity scheme launched in the year 1995, ABSL Equity Advantage Fund has the AUM of Rs 6,061 Cr as on May 31, 2018, with an expense ratio of 2.28%. It offers the growth and dividend options under the direct and regular plan. The average market capitalization of the fund is Rs 61,841.26 Cr as on July 5, 2018. This market capital is invested in 60 different companies, with 41.57% in giant companies, 23.10% in large-cap companies, 34.49% mid-cap companies, and 0.84% in small-cap companies. The portfolio of the fund has 99.02% of equities and 1.12% of debt instruments. On the basis of sectors, it invests in the finance sector, technology, automobile, construction, FMCG, etc. The top five companies where the fund invests its corpus are HDFC Bank, Infosys, Maruti Suzuki India, Tata Consultancy Services, and Eicher Motors. Mr Satyabrata Mohanty has been managing Aditya Birla Sun Life Equity Advantage Fund since 2011. He has been working with the Aditya Birla Group for 17 years and in the finance sector for over 12 years. He manages Fund Management (Equity & Debt), Trading and Credit Research functions. He is a Chartered Accountant and CFA by profession. Mr Mohanty follows the research-based investment approach, investing mostly in the companies falling under the S&P BSE 200 Index. The companies which have sound management, good future growth, and relatively low-risk make their way to this fund, which make it a consistent performer. Aditya Birla Sun Life Equity Advantage has been performing exceptionally well in the past five years. It has beaten its benchmark S&P BSE 200 Index and categories as well. Its returns since launch are 18.16%. In the past three, five and seven years, the trailing returns of the fund were 10.78%, 22.30%, and 14.78%, respectively. All these years, it has performed outstandingly well, beating its peers and category. However, the fund has generated negative alpha on the basis of the past three years of -1.66% as provided by financial analysts of MySIPonline on May 31, 2018. The highest returns of the fund were in the year 2009 with 87.28%. The returns of it in the year 2014 were 60.14%, 2015 was 4.77%, 8.48% in 2016, and 41.85% in 2017. All these years, it has performed better than its benchmark and category, which has made it the best among other funds in the category. The NAV of ABSL Equity Advantage Fund G is Rs 408.53 as on July 5, 2018. It is suitable for the investors who have long-term investment goals and have the appetite of tolerating a moderately high-risk. The fund is a consistent performer, and has provided better returns in the past years, which has made it a top-rated funds. 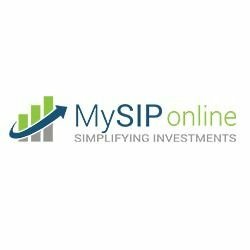 So, keeping all these points in mind, if you are looking for the investment in the fund, connect with our experts at MySIPonline.